These jerseys are my personal highlights of my hockey game worn jersey collection. 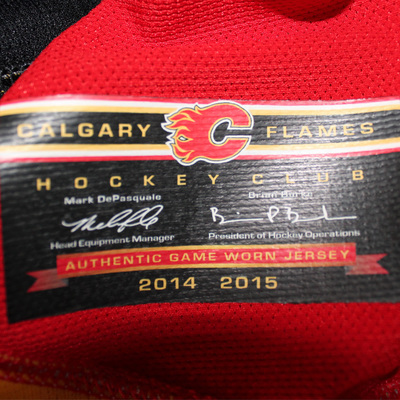 They won't be for sale or trade. 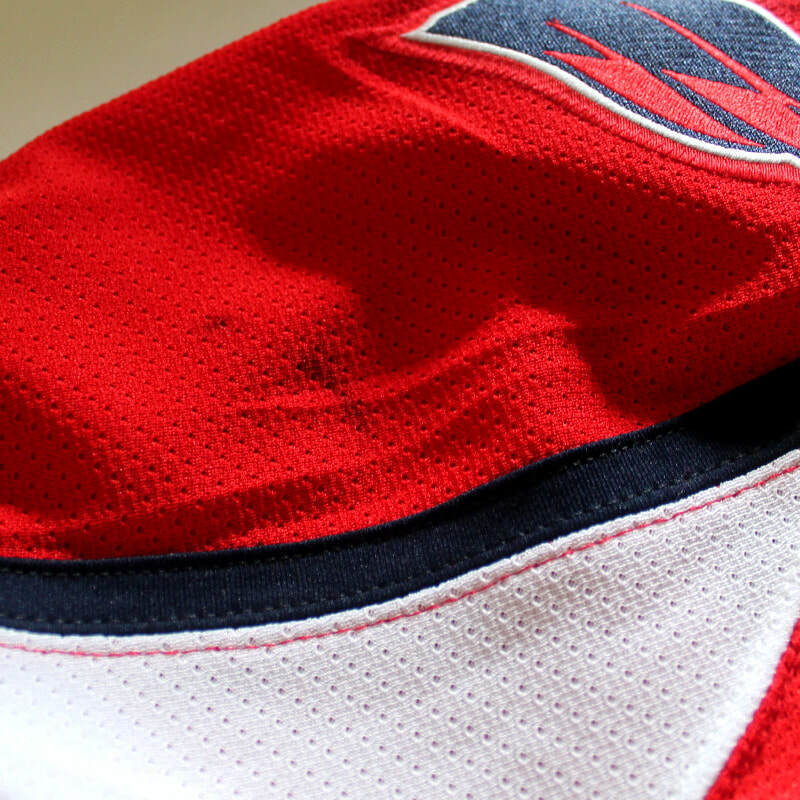 When I was young I often watched NHL games of the Ottawa Senators. German national team defender Christoph Schubert played for them. 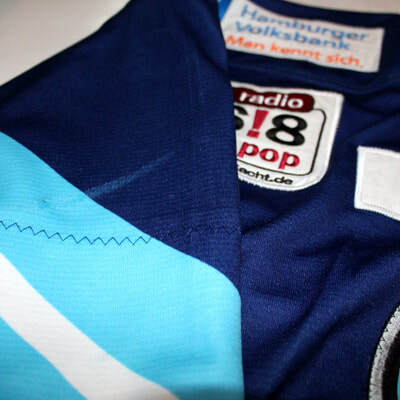 When he came to Hamburg in 2010 he quickly became one of my favorite players. 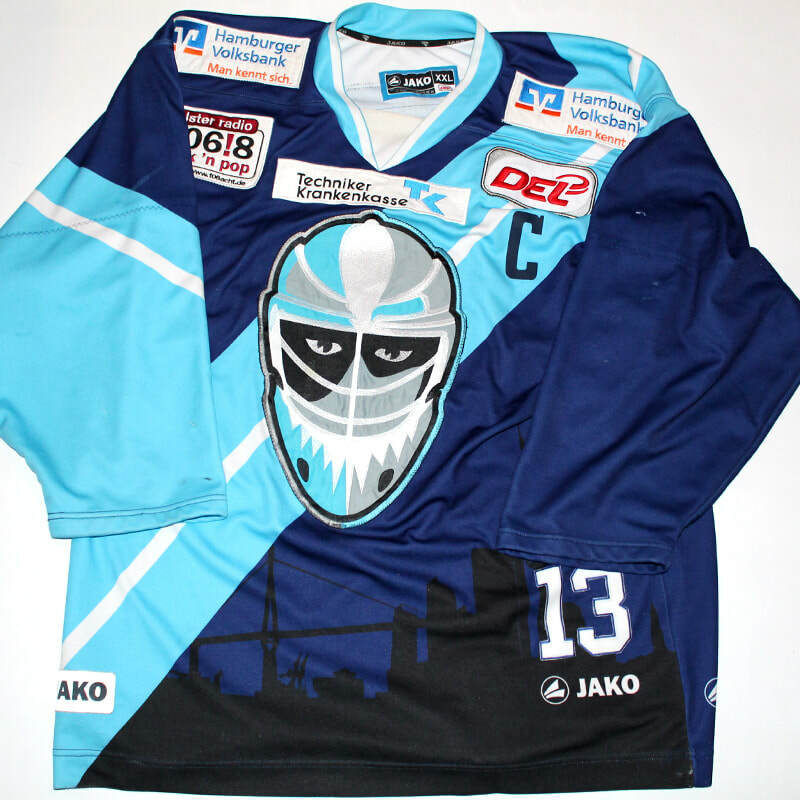 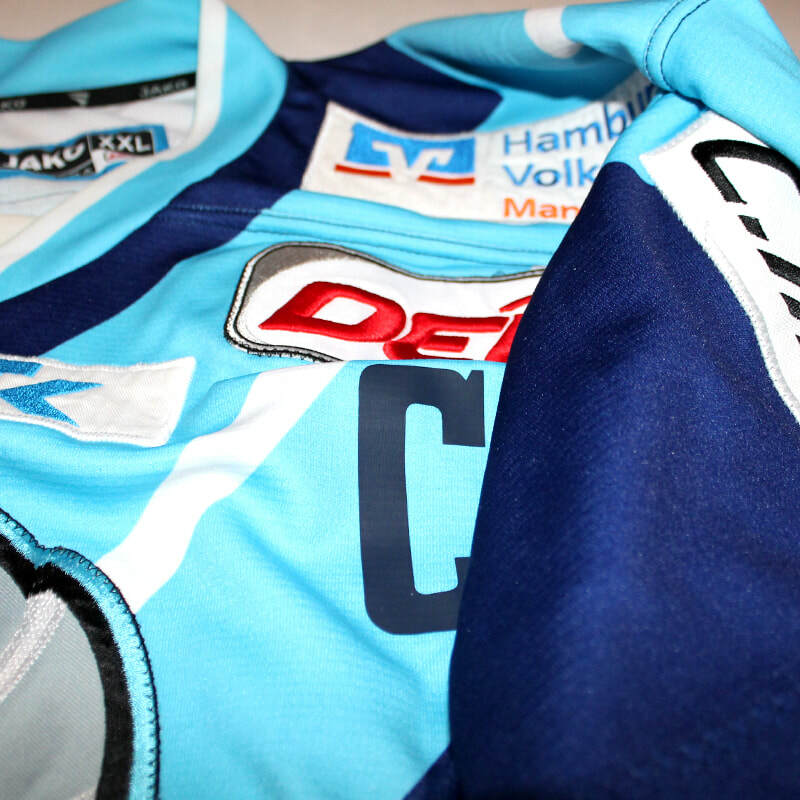 I'm happy to have this beautiful game worn jersey of the long time Freezers captain in my collection. 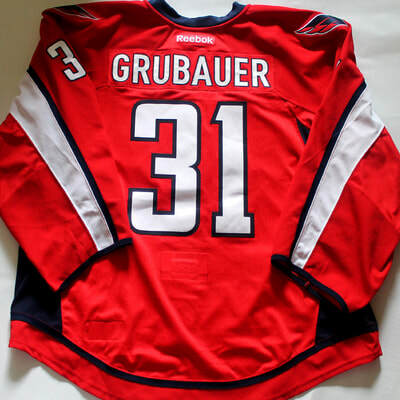 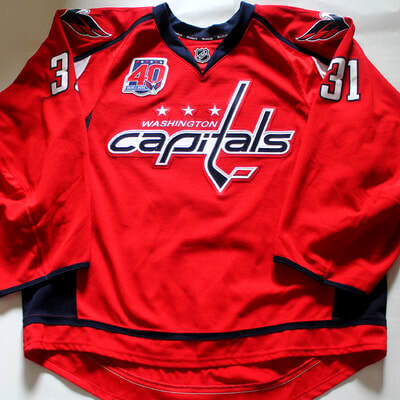 Philipp Grubauer has worn this jersey in his first NHL play off game as a starting goalie in April 2015 home at Verizon Center against the New York Islanders. The Capitals won the game - and 'Gru' became the very first german-born starting play off goalie in history of the NHL. That's why it is a special jersey for me. Let's Go Caps! 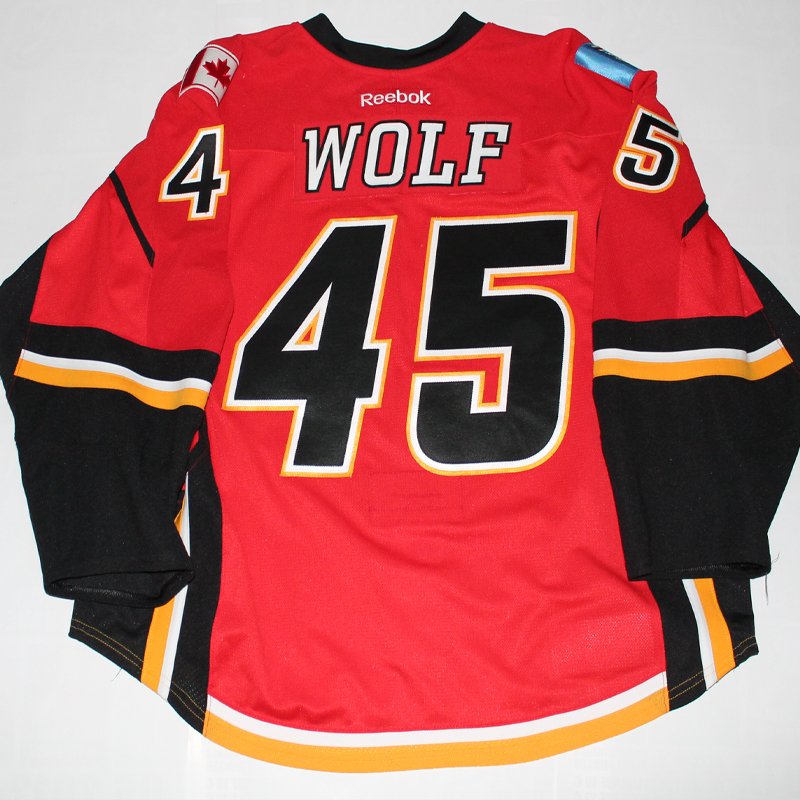 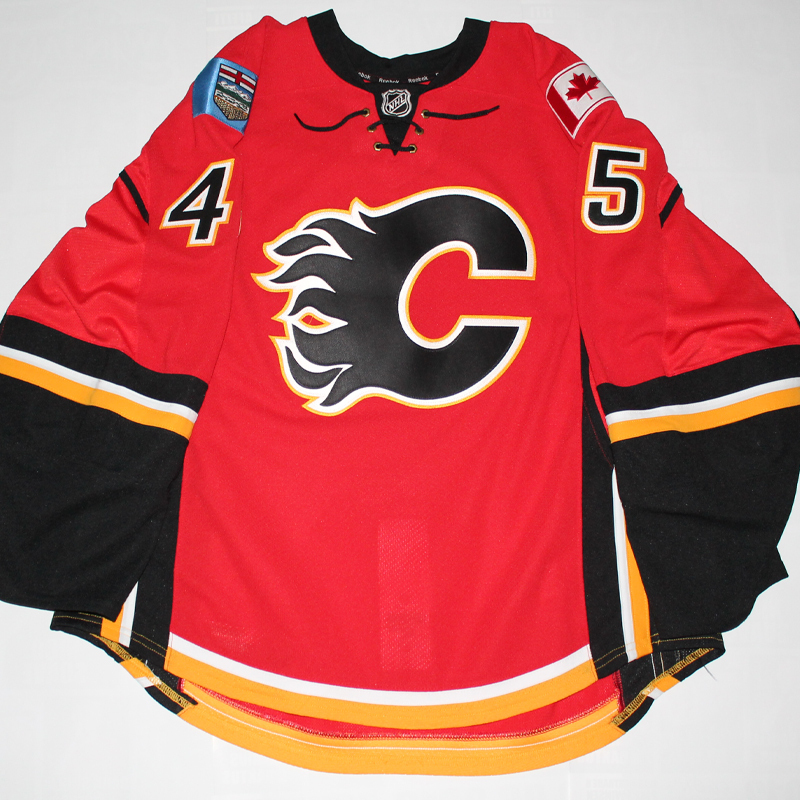 David Wolf has worn this jersey in his very first NHL game against the Edmonton Oilers. 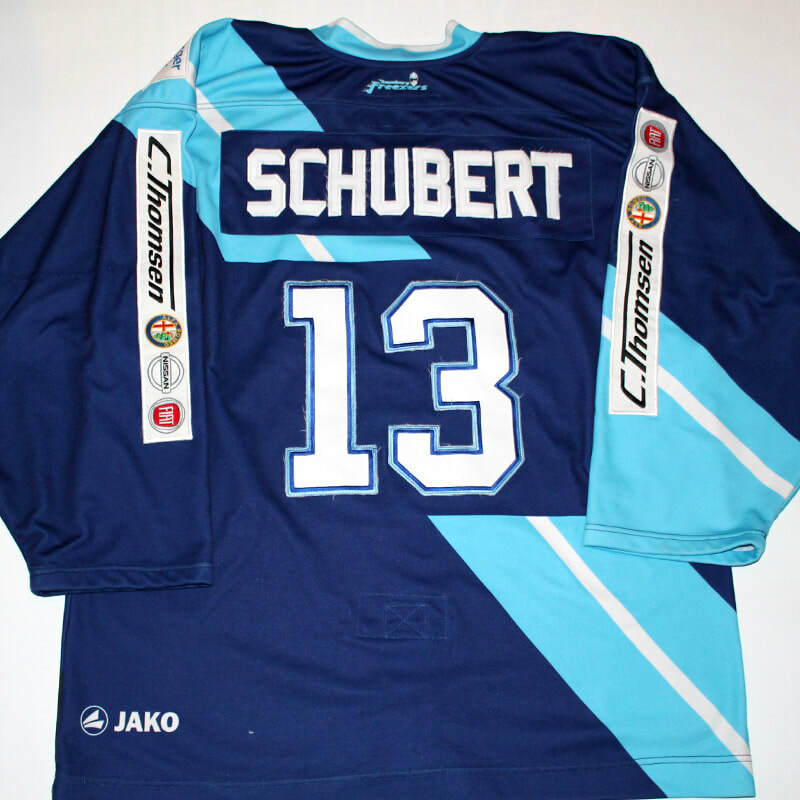 I've seen him playing in Hamburg before and had the chance to meet him several times before his adventure NHL startet. I got both of his game worn NHL jerseys of his NHL year - the road jersey I gave to David - enjoy it. 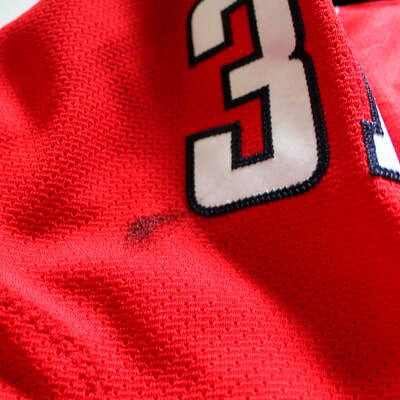 This piece will remain in my collection. 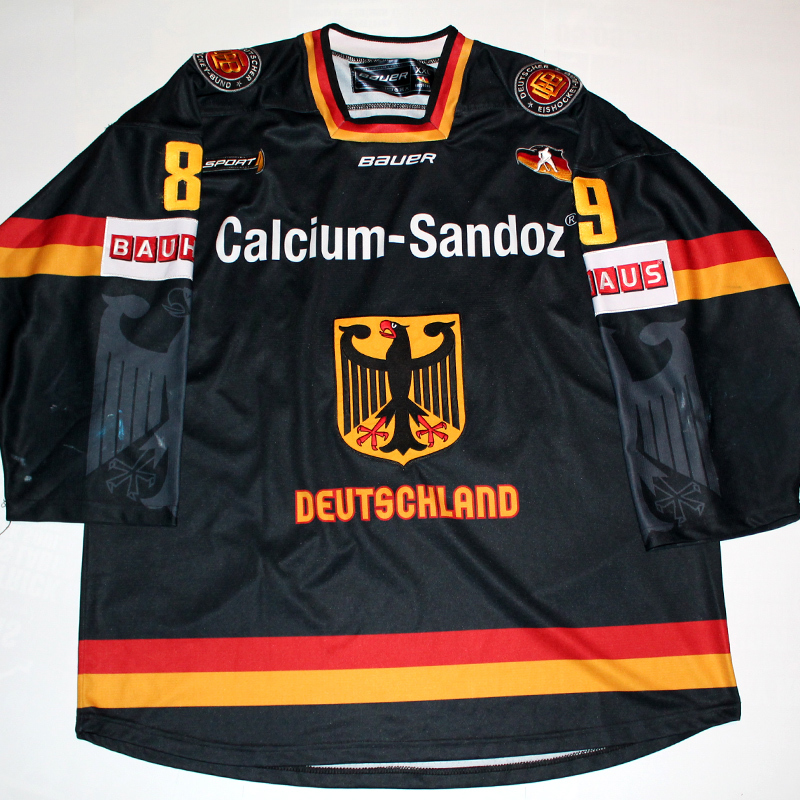 Still a fan! 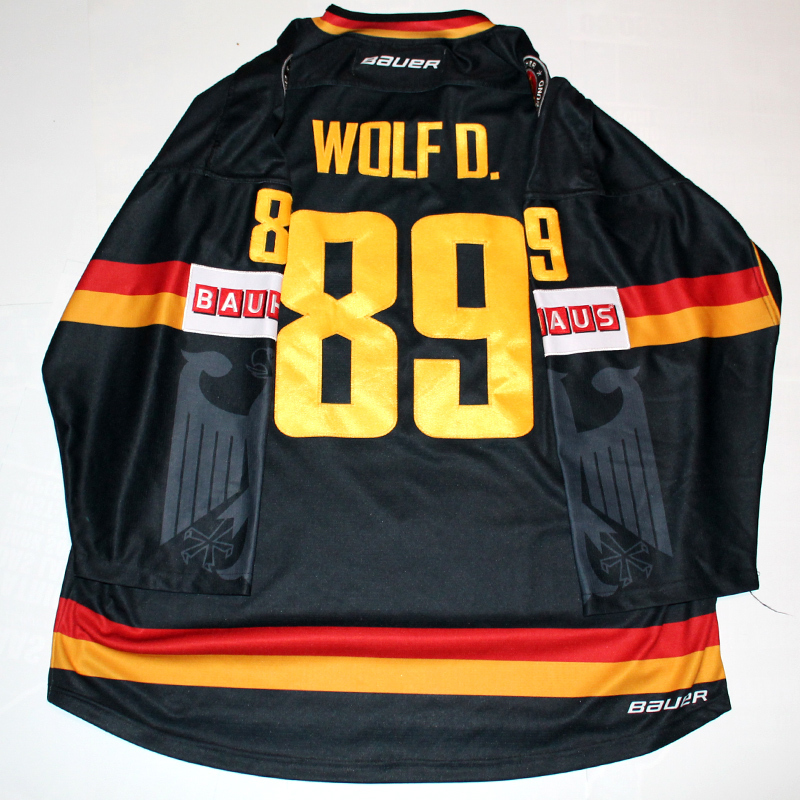 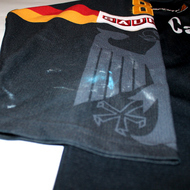 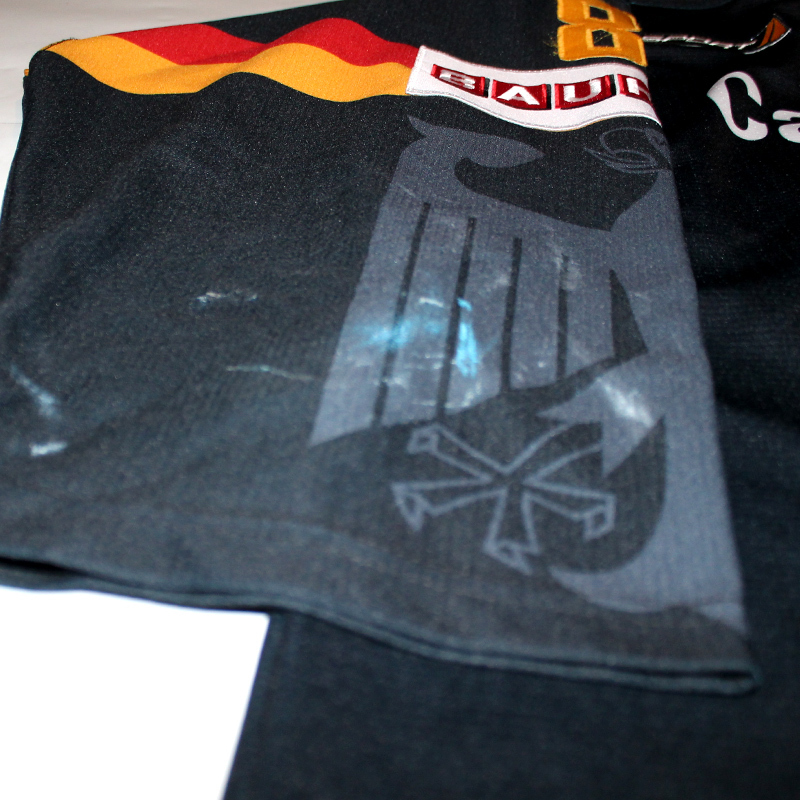 While wearing this jersey David Wolf scored his first goal for the German national team. 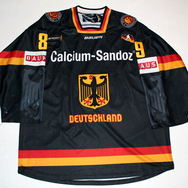 It was worn for 14 games - David scored four goals and had one assist. 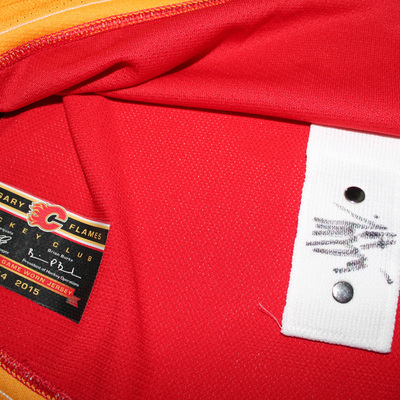 It shows heavy wear and all names, numbers and logos are patched. 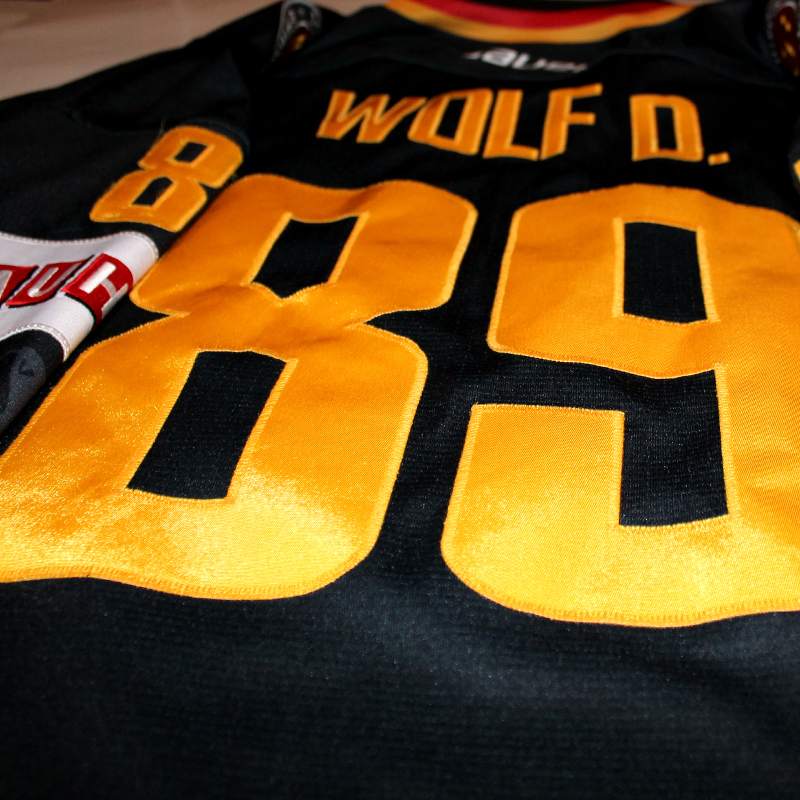 One of my favorite jerseys!